3D printing is a newer technology, and it can be easy to want to rely on the older, traditional manufacturing methods that have worked for years now. However, 3D printing does have several advantages over traditional manufacturing that can help you in your product development process. 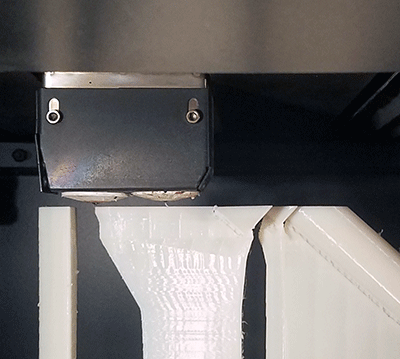 In this article, we’ll discuss the primary advantages of 3D printing, including how it can lower production costs, allow more complex geometry, and be used as a digital inventory. 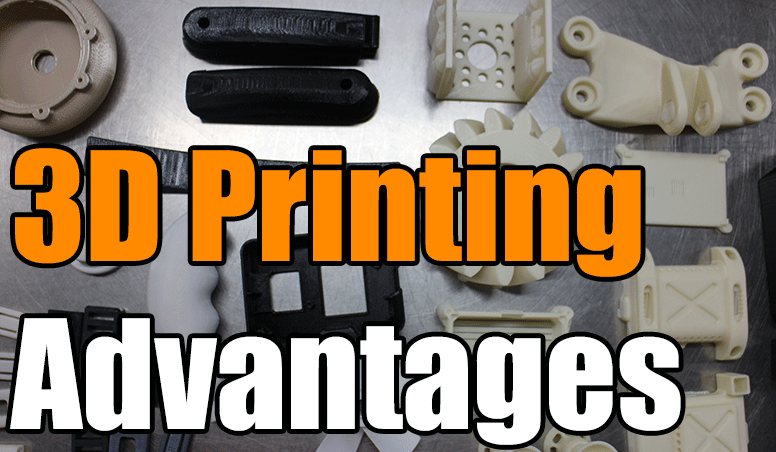 One of the primary draws for 3D printing is how cost-effective it can be. 3D printed parts are made via single step manufacture, meaning that they don’t go through different manufacturing stages on a variety of machines. Rather, only one machine – the 3D printer – is used to create the entire part, which makes it so that you save on machine operating costs. Along with this, 3D printers do not need supervision as other traditional manufacturing machines might. After the print is set to run, they can be left alone until it is done. This cuts cost on labor because one person can run many machines and not need to supervise them during production. 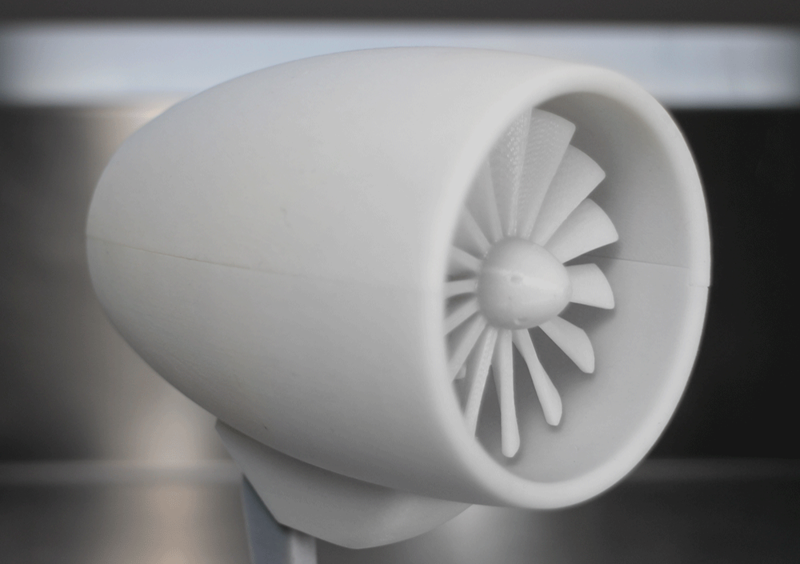 With 3D printing, you are using a process called additive manufacturing. This means that material is added to a build platform layer by layer until your part is complete. This is completely different from subtractive manufacturing, which carves away material from a blank. The additive manufacturing process can cut costs because it uses the exact amount of material you need for your part rather than cutting away chunks and wasting a sizable portion of material. On top of this, because of the nature of additive manufacturing, no molds or other tooling are needed to create your part, which can reduce your production costs drastically. Finally, wanting to 3D print your part does not mean you need to invest in a 3D printer. You can bypass this hefty purchase and choose to outsource your production instead. This can help you ensure that your part is being produced correctly by trained professionals while keeping your costs much lower. It is important to note that 3D printing may not prove financially beneficial for large-volume productions. Traditional manufacturing is still better for producing large volumes because the speed at which parts can be made outweighs the setup costs. For more about production volumes, their manufacturing costs, and economy of scale, read our article comparing 3D printing and injection molding. Traditional manufacturing, including both machining and injection molding, does not support complex geometry or assemblies. Even seemingly simple geometry may require expensive fixtures, jigs, or side actions to produce. However, with 3D printing’s additive manufacturing process and use of support material, your design’s geometry is limited only to your imagination. This includes the creation of complex assemblies that can be produced in a single print. Some 3D printing technologies can even create internal, or hidden, geometry, which makes your production as seamless as possible. 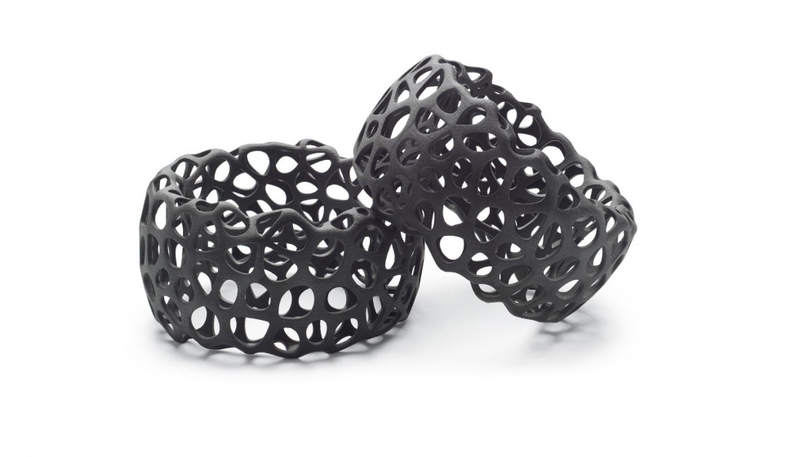 Along with this design freedom, 3D printing also lends itself to custom design. This is possible because no tooling is required, so single parts can be made at a fraction of the cost of traditional manufacturing methods. This has made it so custom dental and medical implants or prosthetics can be produced for the average patient and better the lives of many individuals. Engineering is an iterative process, and 3D printing allows you to create design iterations faster than ever. Because you don’t have to wait weeks for a prototype to be machined, your production can start right away. This means that you can have a prototype of your part in hand within a matter of days, accelerating your development process and getting your product to market faster. Entrepreneurs can also benefit from rapid prototyping. Showing potential buyers or investors your design in a tangible form may help secure more stable funds for your project. Additionally, getting prototypes quickly may allow you to test your target market and make design changes based on their feedback. An additional advantage of 3D printing is that it can save you space. With traditional mass manufacturing methods, you can end up with surplus inventory. This can be problematic if you are low on space and the part is used seldomly. An overstocked or outdated inventory only wastes financial assets that you could be using somewhere else. However, because 3D printing can produce parts quickly and at a lower volume, you can print parts on demand. Rather than having a physical inventory of parts lying around, you can keep a digital inventory of 3D printing design files. This enables you to only produce the quantity of parts you need exactly when you need them. Furthermore, a digital inventory allows you to change or update designs at any time. This prevents you from housing obsolete parts while giving you the freedom to change designs as necessary. Finally, 3D printing is better for the environment than traditional manufacturing. The subtractive process that is used by traditional manufacturing methods creates a lot of waste that can be difficult to recycle. On the other hand, the additive process used by all 3D printing technologies creates little waste, and what waste there is may be recycled depending on the material’s properties. Because of this, not as much material gets thrown out as with subtractive manufacturing. Additionally, because most 3D printers work with plastic materials, the parts produced are a lighter weight. 3D printed parts can compete with traditionally manufactured metal parts in some applications and have recently been used as substitutes for metal parts in the automotive and aerospace industries. In these instances, lighter parts help with fuel efficiency, which can help reduce the carbon footprint of these industries over time. Here are 3 Space, we offer multiple 3D printing services, including FDM, PolyJet, and MultiJet. If you are unsure whether 3D printing can best suit your needs, our engineers are happy to make suggestions based on your design and production plans. For more information, contact us today. 3 Space offers industrial 3D printing and 3D scanning services for a variety of applications. We work with professionals from a variety of industries, including automotive, robotics, consumer products, medical devices and more. We're committed to providing value and excellent customer service. Contact us today and get the parts or data you need.